Need some ideas to help you get started? Have you started, but need some tips to take your fundraising to the next level? Well, here are some that will help you reach your goal! You can always get the ball rolling by making the first donation toward your fundraising efforts. The earlier you begin asking people to contribute, the more you will raise. You can send personalized emails by logging onto your fundraising page. Templates are provided, or you can start from scratch. Remember that there's no harm in asking. Ask at least one person per day to make a donation. The more people you ask, the more money you will raise. Let people know why you care. Let them know why this cause is close to your heart. Did you adopt a pet? Do you volunteer? Did a pet touch your life in some way? People want to know about you and what is important to you. Touch their hearts by telling your story. To establish a high baseline of giving, start with the person who you think will give you the largest donation. Also, instead of asking for $25 and settling for $10, ask for $50 and settle for $25. Of course, you always want to base the amount you're asking for on your prospects' ability to give. Ask people with whom you have daily contact or an established relationship. Reach out to your parents, friends, classmates, co-workers, neighbors, grocer, banker, mechanic, lawyer, dry cleaner, fellow parishioners, etc. It can be intimidating to approach people with whom you have just a business relationship, but if you are part of the reason that they stay in business, be confident and go for it. When you approach businesses, it helps if you are willing to spread the word about them, too. One great way to recognize your supporters (both businesses and individuals) is to acknowledge them. Create a banner containing the names of everyone who donated to you or your team and carry it during the walk. Create your own T-shirts for the event or customize an official T-shirt for your team, listing all of your supporters. You can be as creative as you like. Many companies encourage their employees to support favorite causes. Try to create a company team for the walk and ask if your company will match your fundraising goal if it's achieved. Setting a fundraising goal will help you make plans and will motivate you to achieve it. In fact, having a goal usually inspires other people to help you reach it. You can track your progress on your fundraising page. Let your supporters track your progress, too, and display their names. If you exceed your initial goal, don’t stop fundraising. You can set — and change — your goal from the “dashboard” of your fundraising page. Include a photo, text or even a video with a personal story about why you’re supporting this cause. You can personalize your page from your participant center. Tell supporters where their money will go. Tell your donors and prospective team members that the money raised through Strut Your Mutt will be used to save the lives of animals at your local shelters by funding adoption and spay/neuter programs. People who share their stories on social media such as Facebook are twice as likely to raise more money. Get creative with your posts and always include the link to your fundraising page. You can share via social media from your fundraising page or on the dashboard. Even though we communicate through technology much of the time, a face-to-face conversation with someone is still a great way to share your commitment to help animals and ask for support. Taking the time to have a conversation shows others that you are passionate about your cause and interested in them, too. Make an effort to meet your neighbors and tell them about Strut Your Mutt. Take a few minutes to speak with the people who you always see at the dog park. Talk to your co-workers on your lunch break. You might be surprised how many people love companion animals and want to support your efforts. Remember the good old days, before texting? Making a personal phone call is a great way to ask for support. Plus, you get to catch up with family and friends. Liven up a business meeting. Ask for a few minutes on the agenda to explain why you are participating in Strut Your Mutt. Even small contributions from co-workers will push you closer to your fundraising goal. Ask your family to get involved. Kids make great fundraisers and enjoy coming up with creative ideas to help you meet your goal. Request donations in lieu of birthday gifts. Love the birthday cake and ice cream, but don’t need anything else? Tell your family and friends that instead of giving you gifts, you would like them to make a donation to support your Strut Your Mutt fundraising efforts. Promote the walk via email. You can include a tag line in all of your emails that promotes your participation in Strut Your Mutt. Include the URL for your fundraising Web page in the tag line, too. Create a flyer and post it in various places: in the church newsletter, on the bulletin board in the office, at the gym or at school. Make sure to include the Best Friends website (bestfriends.org), the URL of your fundraising Web page, and the reasons why you are participating in Strut Your Mutt. Adding a cute photo of your canine companion will help attract attention to your flyer. Send a handwritten fundraising letter. When was the last time you received a handwritten letter? Did it make you feel valued? Letter-writing is a lost art these days, and that’s why when we receive a handwritten letter, it stands out as something special. Make it even easier for people to support you by including a self-addressed, stamped envelope. You will be surprised at the donations that you receive. Remember, even if people don’t donate, you are still spreading the word about the needs of homeless pets and the efforts to save them. Someone that you talk to may not be able to donate this year, but he or she might consider adopting a pet or getting involved in other ways. Say thank you and keep supporters involved. Express your heartfelt gratitude to those who do donate. Send a handwritten thank-you note, a personal email or an e-card. Keep your supporters up-to-date on how much money you have raised and how close you are to reaching your goal. To allow your supporters to share in the excitement of the day, send them a photo of you and your dog at the walk. These small gestures can help you retain supporters in the future, and perhaps entice them to participate themselves next year. If you want to get more elaborate in your fundraising, we have some additional ideas for you. Read on! Make flyers to promote the event. Display signs containing information about Strut Your Mutt. 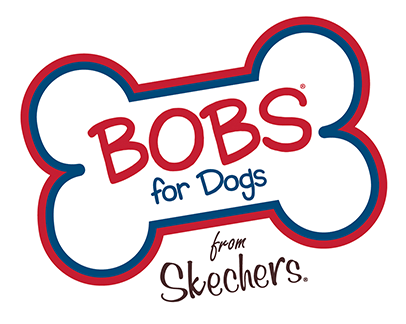 If possible, have a computer on hand so that people can make a donation directly to your fundraising page or join your dog pack. List the ingredients of the baked goods, in case people or pets have any food allergies. Challenge your friends, family and co-workers to collect as many quarters as possible to help the animals. Select a large jar or coffee can to put the quarters in and make filling it the goal. You can even decorate the container with pictures and stories from bestfriends.org, or design it to look like a thermometer with different milestone markers. This is also a great fundraising activity for children, as long as they have adult supervision. A variation on this theme is a best pet story contest, in which people submit their funniest or most touching pet story in addition to a photo. If you're a party animal, have a fundraising house party. You can make it as simple or as elegant as you like. Plan your guest list as far in advance as possible and encourage people to bring guests. Make sure that the people you invite are aware that it's a fundraising party so they'll bring their checkbooks or cash. Invite your friends from the dog park to the party and ask them to dress up their pooches. Award prizes for the best pet outfits. If you know a lot of cat lovers, ask guests to come dressed as the coolest cat they know. Be sure to give suggestions (e.g., Garfield, Pink Panther). Give a prize for the most creative costume. On the invitation, encourage your guests to collect donations from other people before coming to the party and then give a prize to the top fundraiser. At the party, show a classic animal movie or host an animal-themed trivia game. There's no need to spend a lot of money on prizes. People appreciate even quirky little prizes; your local dollar store is a great place to purchase these. At the party, provide a brief explanation about why you are having the house party and ask for donations. Since you have already told people about the fundraising in advance, they will expect to hear your request. Have a computer on hand so that guests can make a donation directly to your fundraising page or join your team. You might also want to leave a bowl or a canister with a “donate here” sign in a central location for people to drop their donations into. It’s summertime, and what better way to raise money and make a splash for Strut Your Mutt than to host a dog wash? First, you’ll need to find a location for your event. Some pet supply stores or doggie daycare businesses will let you do it inside their facility or in their parking lot as long as you are not interfering with their business. (You could suggest that the dog wash take place before or after business hours.) You can also conduct the dog wash in someone’s yard or at a school or other public area, with proper permission, of course. If you live in a city, you can sometimes get a block party permit to close down your block for a few hours — and then turn it into a fun dog-washing party. Set a price per dog; you may want to consider pricing by size of dog. You can either do ticket sales in advance or have people pay on the day of the event. To spread the word, post colorful flyers about your event wherever you think people will notice them and advertise the dog wash via social media or email. Remember, no matter what amount you raise for homeless pets through Strut Your Mutt, you will be saving lives. Thank you! Let’s strut to Save Them All®.